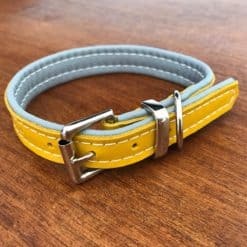 We are delighted to bring you this range of soft leather puppy collars (also suitable for smaller dogs) that are handmade to order for us by a family run saddlery in England. 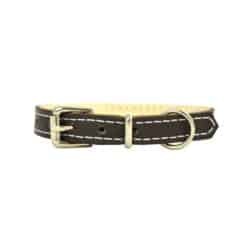 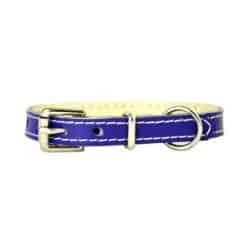 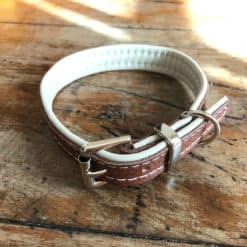 The softest, durable leather is used for the outside and each collar is backed on the inside with a soft supple leather, making these collars ideal for delicate puppy necks. 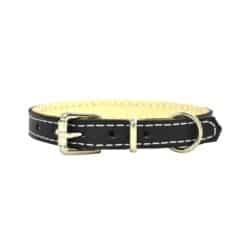 Please note these collars are 1/2″ wide so that they are not too heavy or wide for puppy’s neck. 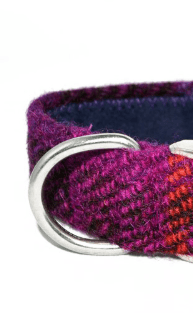 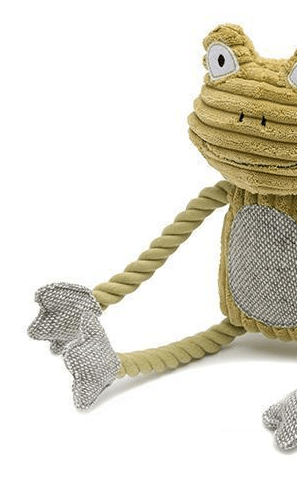 You can also buy a matching lead which will be 5/8″ in width.